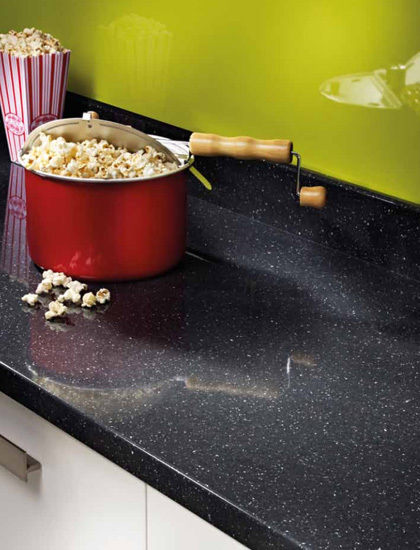 30mm and 40mm worktops for kitchen's and similar environments. Featuring a wide range of attractive new designs and colours. Specialist cutting, joining and edging can be applied to this product to allow for bespoke sizes and shapes, making it suitable for and kitchen area regardless of size or shape. This also means that if your kitchen requires bespoke cut-outs or indents to accommodate certain appliances, then you need look no further. 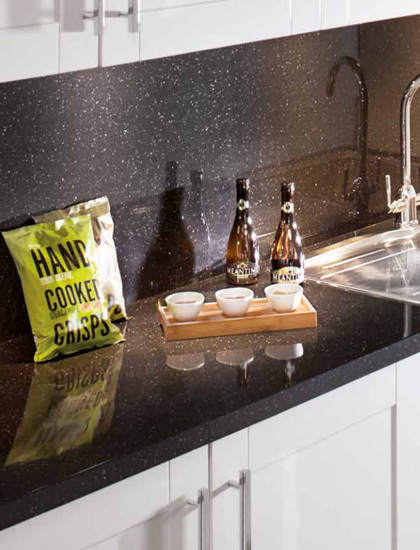 Our Kitchen worktops are strong, sturdy and will retain their high quality look for a long time, however this will not be the case if the boards are submitted to misuse in the kitchen area. Damage can be avoided be when food is prepared it is done so on a protective cutting board rather than the bare surface. 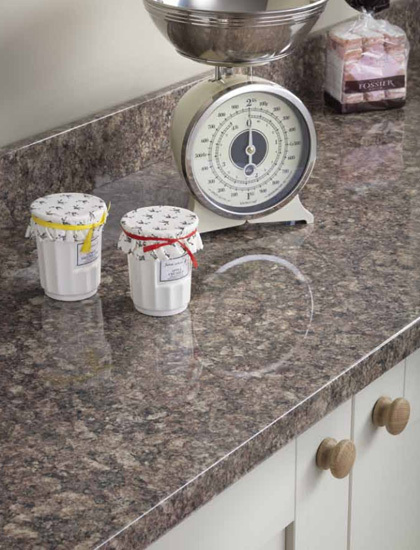 This will avoid the worktop being scratched by the knife and will ensure the worktop retains its quality. A second thing to avoid is placing a hot ban on the surface, instead use a trivet to protect the worktop from the damage caused by heat.